Season 11 of The Voice is only half-way through and we already have info for season 12. Today, NBC announced the upcoming season of the reality series will debut in February. Season 12 will feature the return of Gwen Stefani alongside season 11 coaches Alicia Keys, Adam Levine, and Blake Shelton. The new season of The Voice debuts on February 27th. 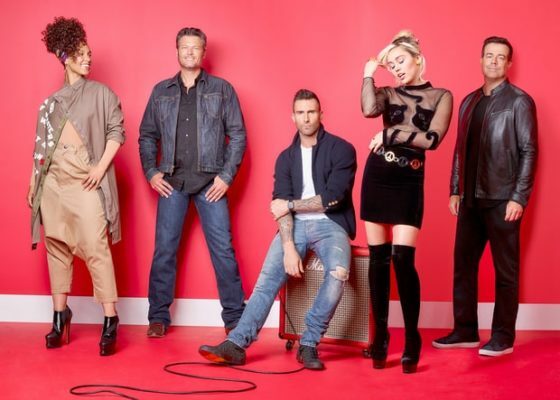 The upcoming 12th cycle of “The Voice” will feature the return of Gwen Stefani as well as season 11 coaches Alicia Keys, Adam Levine and Blake Shelton. Stefani was previously a coach in seasons seven and nine and was an adviser for seasons eight and 10. So far this fall, “The Voice” has averaged a 3.5 rating in adults 18-49 and 12.9 million viewers overall in “most current” results from Nielsen Media Research. It continues to rank as television’s #1 alternative series in adults 18-49, a status the show has maintained over the past four seasons. With both its editions ranking in the top 10 among entertainment telecasts on the Big 4 networks in adults 18-49 this season, “The Voice” remains a key contributor to NBC’s consistent nightlong wins among those nets on both Monday and Tuesday nights. What do you think? Are you a fan of The Voice? Who’s your favorite singer on the current season? I believe your 18-49 years of age is wrong I know a crew of 50-60 year old people that enjoy watching the voice….